South of Puerto Montt, surrounded by majestic fjords, Puerto Chacabuco looks more like Norway than Northwest Patagonia. The town’s history as an important fishing village still holds true today. And with a population of just 1,200, Azamara Club Cruises® guests can expect a truly immersive experience on shore. Plunging waterfalls. Fathomless gorges. Dramatic coastlines. 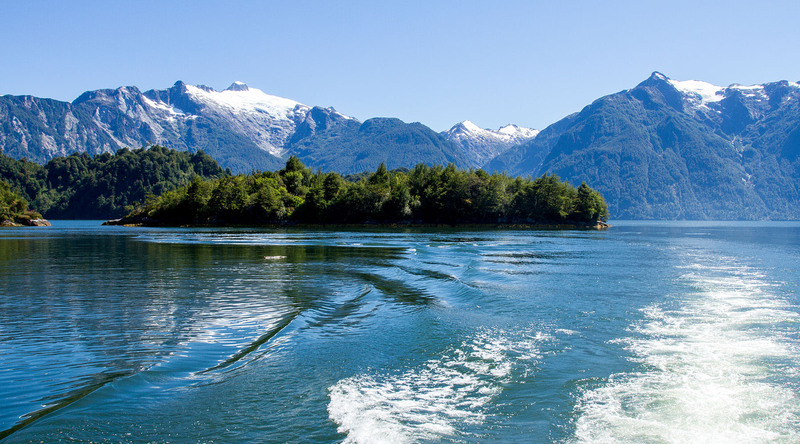 Puerto Chacabuco is your gateway to some of Chile’s most stunning natural wonders. Don’t miss the Río Simpson National Preserve: a protected park that boasts all three; plus, some of the best fly fishing in the world. A visit to Aiken del Sur Private Park promises the same, with an enchanting opportunity to get back to nature at serene Lake Riesco. For wildlife lovers, a 20-minute boat ride will whisk you to Deer Island, home to one of the largest deer species in the world—the red deer. While the island’s deer population is estimated to be about 200, they’re known to be shy: so, keep your eyes peeled, and your shutter finger at the ready. For an indoor adventure, make your way to the Regional Museum of Patagonia where you can view photographs and articles that chronicle the history of Northwest Patagonia’s pioneer era. Ready to see South America in style aboard our newest ship, the Azamara Pursuit℠? Explore our exciting itineraries and expand your world with more destinations. Look up; way up—the Río Simpson National Preserve is home to peaks that rise over 5,000 feet above sea level. The protected park is also a famed destination for fly fishermen. No matter your interest, with almost 100,000 acres of wilderness, there’s sure to be something for everyone. 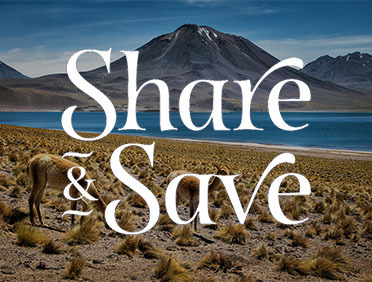 A 20-minute cruise from Puerto Chacabuco brings you to the 741-acre Deer Island—home to over 200 elusive red deer. Witness one of the largest deer in the world as you hike past the indigenous arrayán trees—also known as Chilean myrtles—some of which can live to be over 600 years old. Take a short ride to the city of Coyhaique, just an hour outside Puerto Chacabuco, for a unique photo op at a double-tiered waterfall dubbed the "Cascade of the Virgin". Local lore states the Virgin Mary appeared in this very spot; a shrine commemorating the miracle stands near the pool. Taste the flavors of Northern Patagonia on this journey to the Mañihuales River Valley, where you’ll visit a Bee Honey Factory and several local farms. Saddle up and explore the breathtaking Patagonian wilderness, riding horseback through the stunning Simpson River Valley. Paddle the breathtaking Lake Los Palos, one of Northern Patagonia’s most beautiful lakes.